At 0906 hours Box 1-3 sent Wagon 3, Tower 2, Tower 1, Squad 8, and Captain 4 (Lloyd) to 2417 N. 5th Street in the Uptown section of the city for a structure fire. With the info provided by County dispatch a first alarm assignment was struck while companies were enroute. Wagon 3 and Tower went on location with heavy fire on the first and second floors of a 3 story, vacant, duplex with exposure problems. As companies were leading off with their heaviest water lines a second alarm was requested consisting of county mutual aid. Fire extended to the attached exposure and a similar type unattached exposure. Firefighters battled the flames for an hour before marking control. 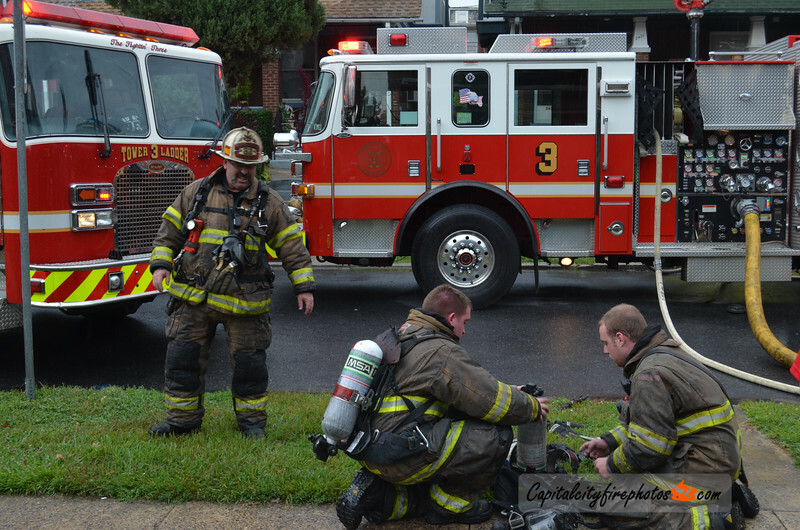 Units remained on the scene for an extended period of time performing overhaul. All structures involved were vacant. No injuries were reported.